This article will cover managing your account details from your Knack Dashboard. From your Knack Dashboard, select "Account". Here you can edit your Account Details, Freeze your account and Cancel your account. Account Name: The unique name for your account, such as a company name. Ex. "Team Dashboard"
URL: The custom text in your URL, for your Knack Builder and what your user will see when accessing your app. If you are not using your app, but will need to use it in the future, you can freeze your account indefinitely for a discounted price. This will keep all your apps and data there for you when you need it. Note: You can only freeze paid accounts once per year. 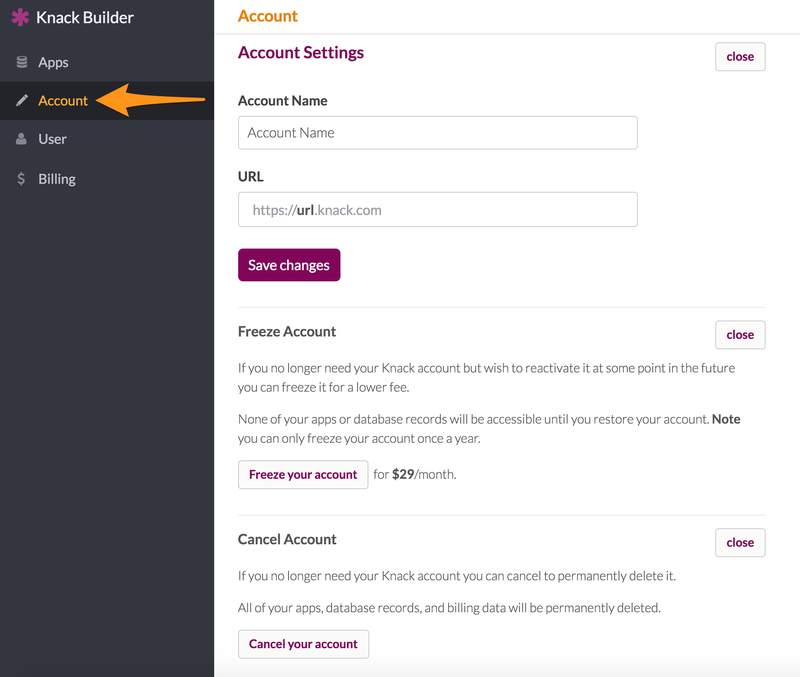 You can cancel your account at any time from the Knack Dashboard. Please note, that we are unable to cancel your account on your behalf. Warning: Canceling your account will delete your account, including all apps and data permanently. This cannot be undone. For information on our refund policy, click here. 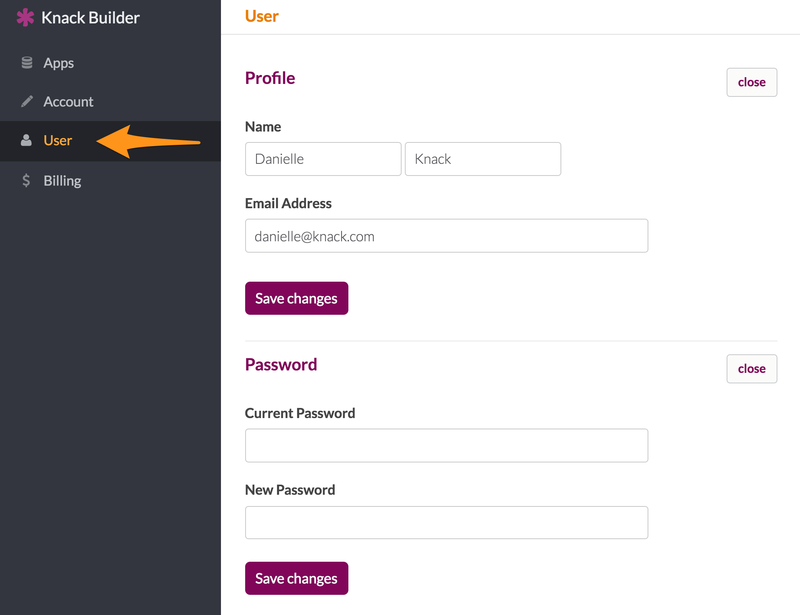 From the Knack Dashboard select "User", here you can edit your account Name, Email and Password. Name: The name of the account holder. Email Address: The email address for the account holder. This is the email address used to login to your Knack account. Password: The password for your Knack account.